We're boarding up, packing up and getting ready to evacuate the island in anticipation of Irma. I thought I'd make a quick post and let you know what has been going on in the Art Gallery Cards world this week. 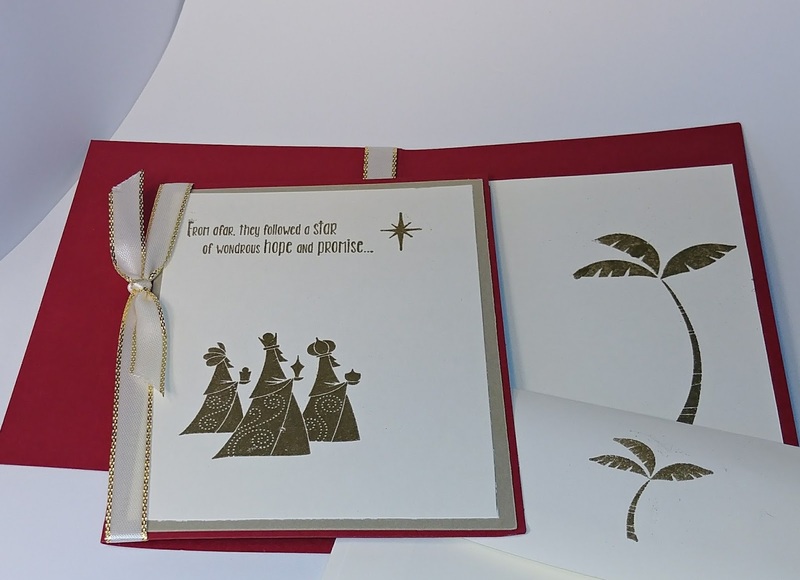 We made this simple, but elegant 3 Wisemen card using Wisemen from afar, Cherry Cobbler and Very Vanilla cardstocks and gold embossing powder. We Floridians especially love the beautiful palm tree stamps. This is actually a very quick and simple card. 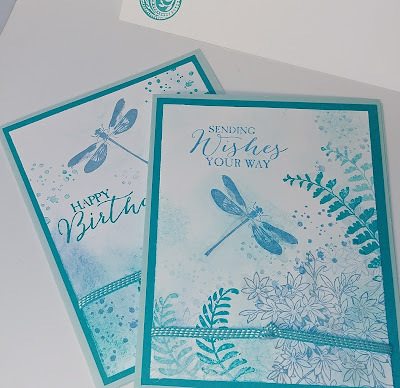 Next we made this oh so pretty card using stamping off and sponging to give it a misty quality. 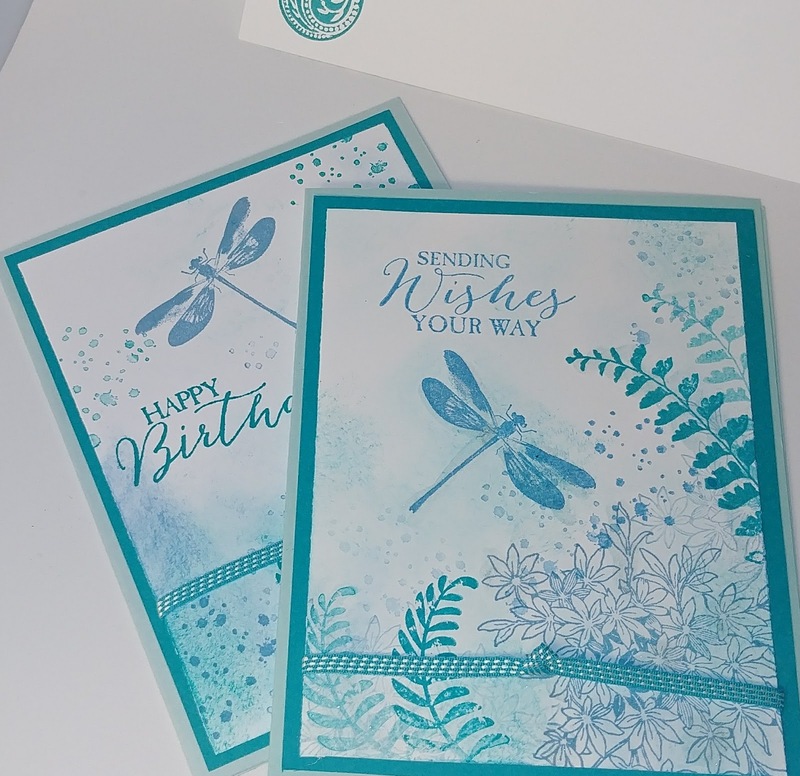 I'll bet you recognize the Awesomely Artistic and the Butterfly Basics stamp sets, along with Bermuda Bay and Marina Mist stamp pads. A tip of the hat to Dawn Olchefske who never disappoints when I'm looking for inspiration! Check out her Stampin' Up blog! Here is another project. 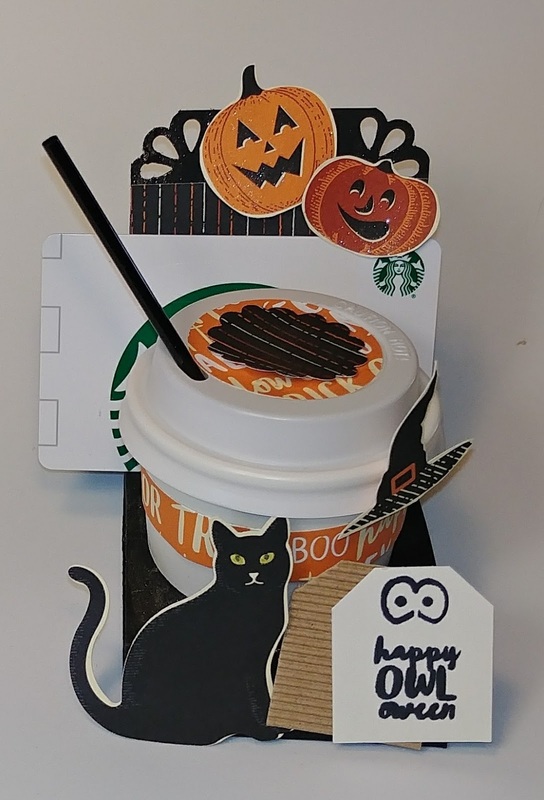 It was inspired by Oksana Semenska's cute little expresso cup and holder that you saw in last week's blog post. The Spooky Night Designer Series Papers are so fun! You can punch out the cats and fussy cut the pumpkins and witches' hats. Planning to make some of these with granddaughter, Riley, while we're waiting out the storm at Kevin and Darla's house. Secret work is Yellow Lab Yes, we'll take our 2 Shelties and they have a Yellow Lab, Terrier/Lab mix and 2 yorkies. Should be lively!! One thing that I'll be packing up is the latest Paper Pumpkin! Easy Peasy and I won't suffer from stamping withdrawal! LOL!!! Wishing everyone in Houston and neighboring areas a quick recovery and wishing the residents of Florida the best possible outcome.